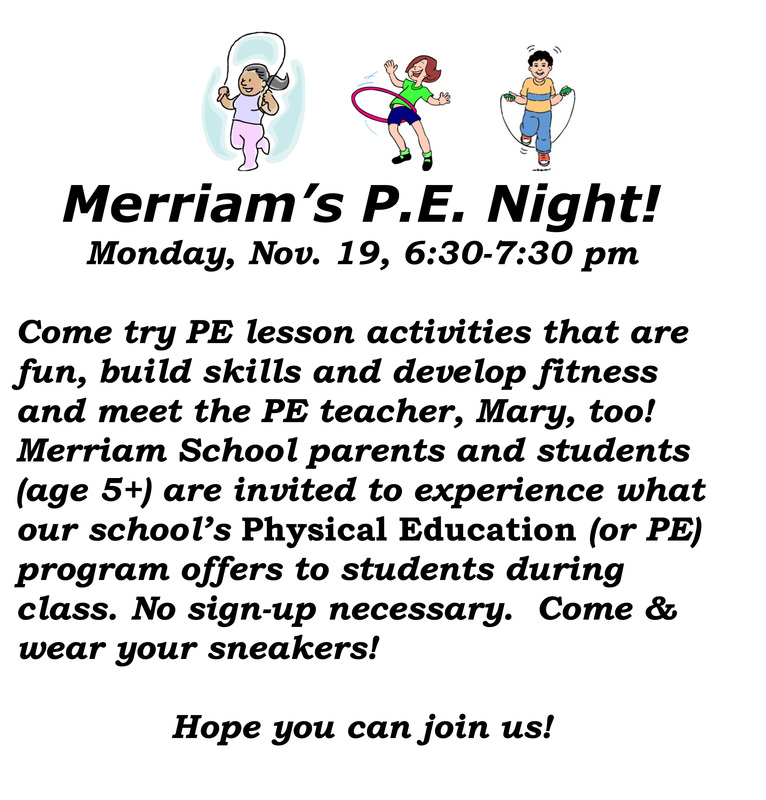 Come try PE lesson activities that are fun, build skills, and develop fitness and meet the PE teacher, Mary too! Merriam School parents and students (age 5+) are invited to experience what our school’s Physical Education (or PE) program offers to students during class. No sign-up necessary. Come & wear your sneakers! Hope you can join us!